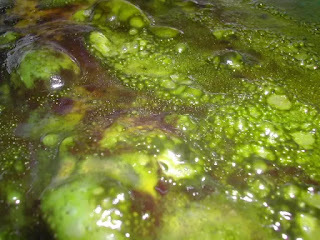 Ahh, green slime. One of Gary Gygax's cruelest tricks to play on players. For a reminder, let's go over it in a couple of editions. A creature that comes into contact with green slime takes 5 (1d10) acid damage. 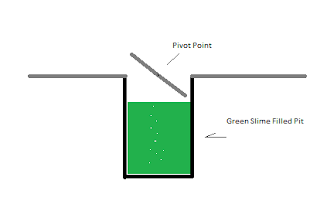 . . Against wood or metal, green slime deals 11 (2d20) acid damage. . . (5E DMG, 105). Green slime isn’t technically a monster, just an extremely dangerous hazard in underground tombs and other such places. Any metal or organic substance it touches begins to turn to green slime (saving throw). It can be killed with fire or extreme cold, and the transformation process can be arrested by the use of a Cure Disease spell. Green slimes are strange plant growths found in subterranean places. Although they cannot move, they slowly grow, feeding on animal, vegetable and metallic substances. They are sensitive to vibrations and will often drop upon passing creatures from above. rounds. It can be scraped off quickly (if the scraper is then discarded), excised, frozen, or burned. A cure disease spell kills green slime. Other forms of attack- including weapons or spell - do it no harm. Occasionally huge slimes or colonies of dozens have been reported. As you can see, the green slime is a trap in and of itself. It doesn't follow the normal rules for a monster, as far back as 1E. Just fireball your friend before he touches you. But, it can be so much worse. Forgive my awful drawing skills. Today, we are combining the green slime with a covered pit trap. 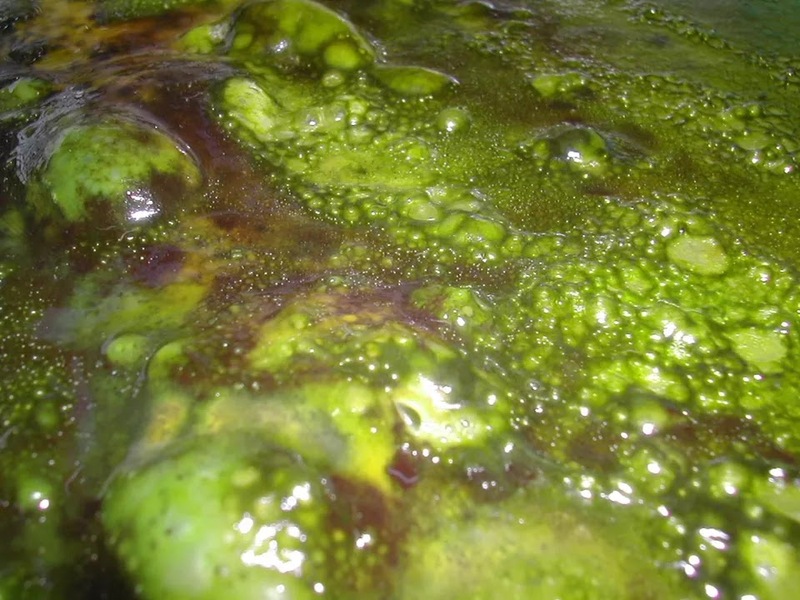 When someone walks across the covered pit trap, it drops them into a massive vat of green slime. Someone alone in a dungeon that doesn't find this trap will almost surely die to it. But, what about groups? That's where this trap gets fun. A halfling rogue may scout ahead of the party, and not even trip the trap. You can set whatever amount of weight you want for the pivot. Two warriors go next, single file. They weigh about the same, so the trap doesn't move. But, when the wizard steps behind the second warrior, the trap triggers (because the wizard doesn't have heavy armor and weapons.) Oops, two dead adventurers. And the cleric is still on the far side of the trap, freaking out. First, I would describe the room or the hallway its in. "The air here is sharp and acrid. It's also somewhat dry compared to the other areas you have been in the complex. You occasionally hear a drip noise from somewhere you can't pinpoint." Next, I would set a fairly high DC for finding the pit. For 5E this would be 20+. For OSR games, it would be a 15% penalty to Find Traps. The reason for this is twofold. First, this is a high-level trap. I wouldn't throw it at any characters less than level 10, no matter which system. Second, I want wiggle room for how they explore the area. If they just tamp with a 10' pole, no bonus (remember to set the pivot weight at 40+ lbs). If they pour water down the hallway, I will give them a bonus. Players are creative people, and I want to be able to reward the creativity without sacrificing lethality. Finally, I would use the trap as intended. If it is not found, it should kill someone. Like, gone forever. And their gear. If it is found, I would let them come up with creative solutions to "locking" the trap. Maybe they lay ropes tightly over it, and spike them into the ground. Maybe they just use it as a gold storage facility (keeping the upward-moving side at ground level). Maybe they come up with something entirely unexpected.